The Crossroads starts on 3rd December. -AYUMI HAIR MESH - Ayumi comes in colour hud options 01, 04, dichromic and balayage. 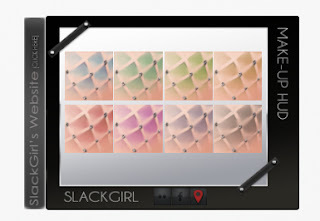 MAKE UP:SLACKGIRL - EXCLUSIVE RELEASE FOR APPLIQUE EVENT!